this morning I came across this image + couldn't help but ooohhh + aahhhh over this floor! of course I've seen herringbone before, but today it struck me that one day when we have our own home...this flooring is a must. I love wood floor + marble tiling for the bathroom + kitchen, even dining + entry areas! 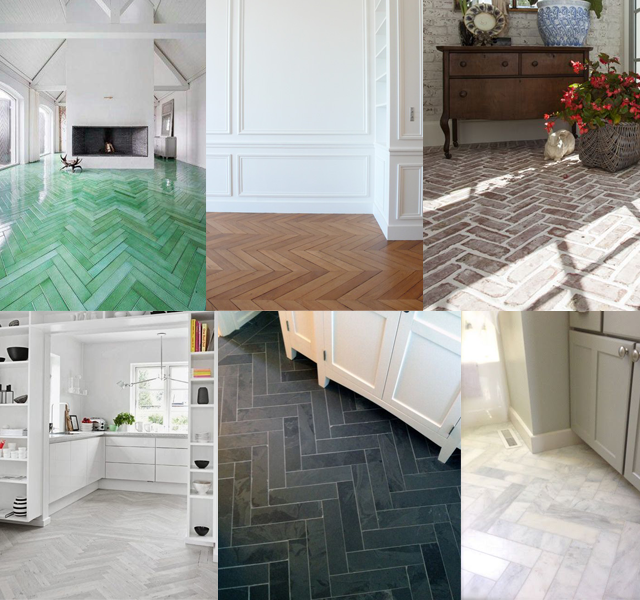 personally I find herringbone pretty timeless, yes it's a bit more in your face than the standard horizontal flooring-- but I absolutely love it! and look-- all you need to do is: cut your marble or wood into a brick pattern. you can use any size you'd like-- thin + long, wide + shorter, whatever you want. 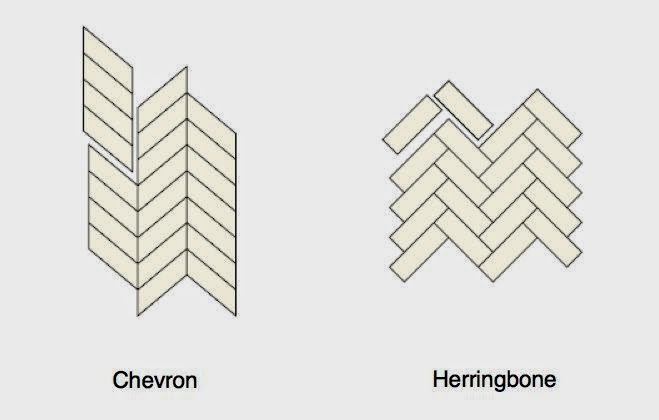 the herringbone look is an inexpensive way to create a high impact pattern. what do you think? 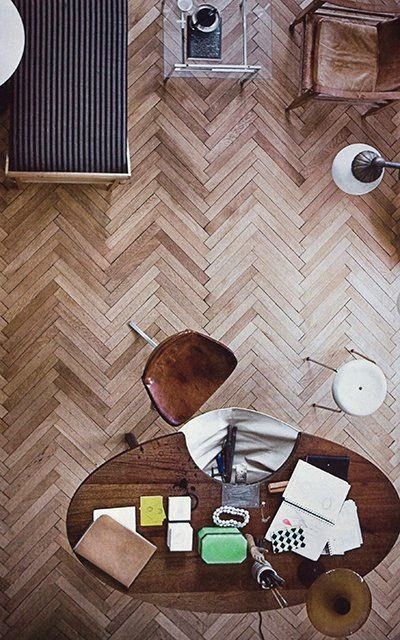 do you love it or hate it...would you ever put herringbone flooring in your home?